The city of Munich Germany (München) is located in the German state of Bavaria. It is a popular tourist destination featuring many interesting museums, art galleries and other tourist attractions. Famous city landmarks include the old Gothic cathedral, two castles and the Bavarian parliament. Conveniently located near the Alps, Munich Germany is the gateway city to some wonderful parks and gardens and alpine resorts. Direct flights to the Munich Airport operate from all major European cities. 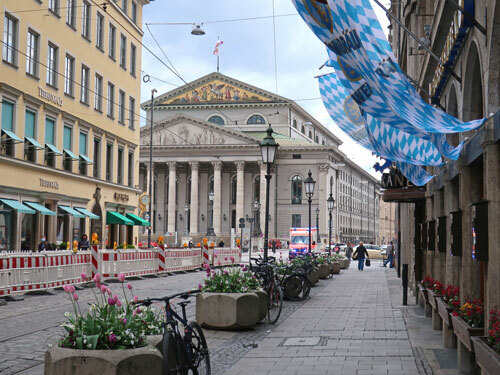 Munich is one of the world's most livable large cities. It is safe, clean and has excellent public transit. Visitors can enjoy the excitement of Oktoberfest or enjoy one of the city's fine public parks. Many excellent hotels are available in downtown Munich and around the city. Hotel accommodation is also available near the Munich International Airport.